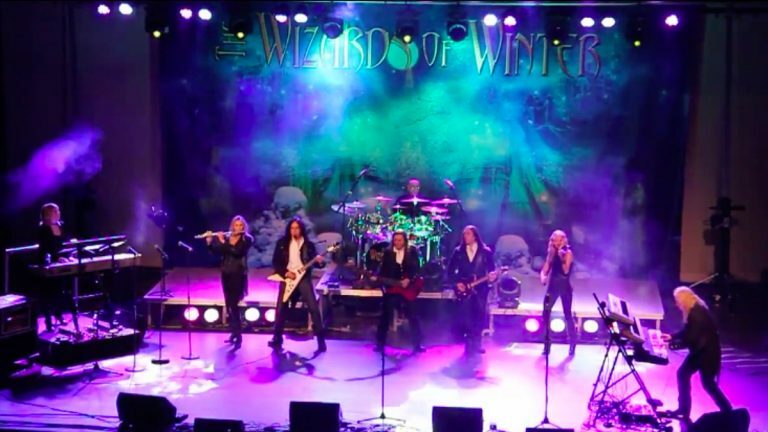 Wizards of Winter, with four former members of Trans Siberian Orchestra, is bringing its synth-heavy Christmas sound to Collingswood’s Scottish Rite Theater on Friday, Dec 4, 2015. Wizards of Winter started as a Trans Siberian Orchestra tribute band in 2008 in Frenchtown, NJ. It quickly evolved to a group making its own original holiday music. The prog-rockers captured the attention of TSO vocalists, Guy LeMonnier and Tony Gaynor, who officially joined Wizards of Winter in 2014. The 12-piece band (whose name is taken from a TSO song from Frenchtown puts on a narrated rock opera that explores the meaning of Christmas. “Tales Beneath a Northern Star” is based on music from both their first self-titled release and a new album, “The Magic of Winter”. Tickets are still available and range from $32 to $39. Friday, Dec. 4, 2015., 8 p.m. – 315 White Horse Pk., Collingwood, NJ.